Flexible monthly membership from hot-desks all the way to your own private office. Connect with community members. Use the directories to find the right skills and promote your services. Quesitons? Concerns? Schedule a tour! A bigger space designed for you. An office just the right size. An office for your growing business. 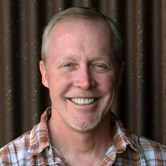 Please join us in welcoming Bret Carpenter as Corvallis Foundry’s first Entrepreneur in Residence. A strong strategy, marketing and entrepreneurship professional, Bret has founded his own technology companies, served as a Director of the SBDC in Arizona, and serves on the faculty of OSU as an instructor of strategy and entrepreneurship. Bret works with both startups and small businesses because he knows they create good jobs and benefit their communities. He believes these owners and entrepreneurs will change the world when provided with curriculum, capital, and community. A trained business coach and peer group facilitator, Bret holds a Bachelor's Degree in Engineering and Masters in Business from California Polytechnic University, Pomona, California. Please join us in welcoming Mary Phillips as Corvallis Foundry’s second Entrepreneur in Residence. A passionate advocate for women entrepreneurs, Mary has served as the Director of Research Development at Oregon State University, mentored at the OSU Advantage Accelerator, and founded Portal Theater, an experiment in creative entrepreneurship. At Foundry Collective she will focus on supporting and developing women founders. Mary is presently the founder of Qualtura Biotech which began as an idea in Summer of 2018 at the BendX Women's Entrepreneurship Boot Camp. Qualtura's mission is to move the needle on microbiome research from a correlative to causative understanding and Mary is also an Innovation Development Consultant helping startups and founders to transform research ideas, inventions, and ideas into sustainable business ventures. 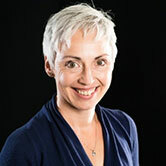 Mary holds a Ph.D. in Physical Chemistry from Imperial College London and a B.Sc.Chemistry from the University of Durham. Environmental Engineer / Hart Crowser, Inc.